His House > Blog > Detox > What Is Rapid Detox? You might have heard about rapid drug detox, and it sounds too good to be true. Imagine having to cut the number of days you have to spend at the center from weeks to days, or from months to weeks? That means your recovery is not going to hold your life hostage. You don’t risk your job by taking a long leave of absence, and you don’t spend a long time away from your family. Then there’s the promise of a painless procedure. You heal while you’re asleep? That’s unheard of! If a person is addicted to opiates like heroin, Vicodin, methadone and hydrocodone or OxyContin, stopping cold turkey will result to withdrawals that can range from extremely uncomfortable to downright painful. No matter how strong your willpower is, the withdrawal symptoms will almost always bring you back to opiates. The odds are going to be stacked against you as about 9 in 10 people who tried to stop their drug habits on their own end up relapsing. But what is a rapid process and how is it different from natural drug detox? Basically, you are going to be placed under general anesthesia. Then doctors administer opioid antagonists like naltrexone hydrochloride or Naloxone at regular intervals. These medicines will basically force out the drugs in your body. To be clear, you are not going to escape the withdrawal symptoms. Your body is still undergoing the painful process of flushing out all the toxins. It’s just that you are unconscious throughout the whole procedure. It’s like a doctor cutting open your stomach during surgery and you feel nothing at all. Natural drug detox, meanwhile, refers to over-the-counter drugs, herbal medicines, and other alternative remedies to try to cure your addiction. The idea is to let your body heal itself. 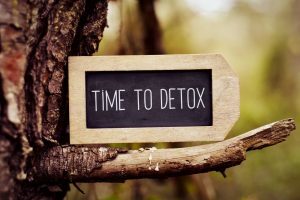 Doing this on your own however can be extremely risky and that’s why it’s better to enter medical drug detox centers that offer a natural method of detox. Is Rapid Drug Detox Dangerous? It’s no more dangerous than putting a person going through surgery under general anesthesia, which in itself a risky but commonplace procedure. But there’s another way to even reduce the risks. Instead of putting you to sleep, you are going to be given the medicine through the IV. Is Rapid Detox for Everybody? Unfortunately, this procedure is not just for anybody. Because of the risks involved, anybody who wants the procedure will have to undergo a strict screening process. Drug detox centers don’t treat this procedure lightly. For instance, if you have prior cardiovascular illnesses, you are likely going to be rejected as a candidate. The screening process itself will take days in order to assess the physical and psychological readiness of the patient. The post-treatment treatment is just as important because the brain has been conditioned to seek out the pleasure derived from taking the opiates. While opioid antagonists will reverse the opiate addiction, close monitoring is important to prevent relapse. Anyway, if you are rejected from the rapid drug detox procedure, as centers offering drug detox for men will suggest viable alternatives that are as effective.